Longtime wilderness educator Mors Kochanski has dedicated his life to learning and teaching about the lore of the forest. With clear instructions, extensive use of diagrams and a color photo supplement, this comprehensive reference includes all the practical skills and knowledge essential for you to survive and enjoy the wilderness: * Lighting and maintaining a fire * Chop Longtime wilderness educator Mors Kochanski has dedicated his life to learning and teaching about the lore of the forest. 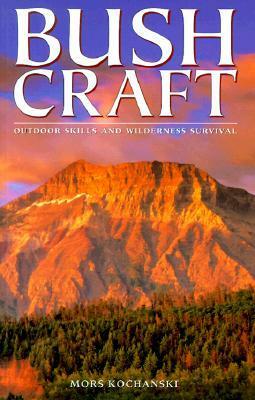 With clear instructions, extensive use of diagrams and a color photo supplement, this comprehensive reference includes all the practical skills and knowledge essential for you to survive and enjoy the wilderness: * Lighting and maintaining a fire * Chopping wood and felling a tree * Creating a shelter and keeping warm * Safe use of the axe and bush knife * Plants and animals important for survival * Food, water and outdoor cooking * Wilderness first aid. * This bestseller should be required reading for hikers, campers, hunters, foresters, backwoods adventurers, scouts, youth groups--anyone with a passion for the outdoors.